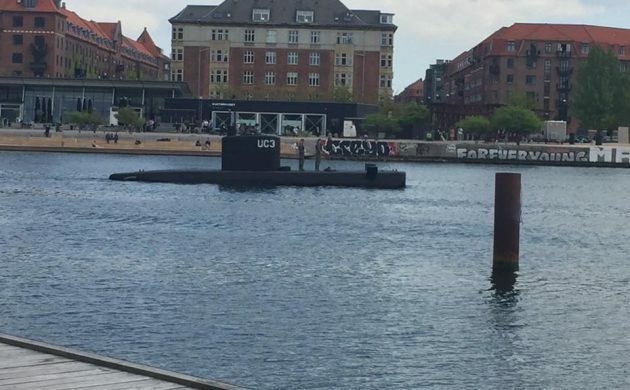 The case of the dead Swedish journalist Kim Wall took another turn this afternoon when the accused submarine owner Peter Madsen presented his side of the story in court. Madsen’s testimony was read out in Copenhagen City Court by the prosecutor, Jacob Buch Jepsen. In it he explained that Kim Wall died at around 22:00 on the evening of August 11, reports DR Nyheder. Wall allegedly died after being struck by a hatch cover weighing 70 kilos. Madsen explained that you have to go up to the bridge to steer the submarine. He raised the hatch and Wall was below him in the submarine and they agreed that she should come up. Suddenly, he slipped on the platform and the hatch fell and hit her. Afterwards, Madsen could see she was badly hurt and was probably dead. He then explained that he went into a state of shock because one of his crazy experiments had been the cause of someone’s death. Madsen then decided to sail out into deep water in the Sound and end it all, but changed his mind and instead decided to dispose of Wall’s body at sea. “He pushed her overboard and didn’t check to see whether she’d sunk,” the prosecutor continued. Later, he decided to scuttle the submarine. Madsen’s lawyer has said that he is still pleading not guilty to the charge of manslaughter. He does, however, admit he is guilty of desecrating Wall’s body by throwing her overboard, but maintains her body was intact. The prosecution has requested that Madsen undergo a mental examination.